The first revival of Jan Philipp Gloger's production of Mozart's Cosi fan tutte, nominated for Best New Opera Production at the 2017 Laurence Olivier Awards. Mozart's exploration of fidelity and faithfulness is brought to the Royal Opera House, with internationally renowned British baritone Thomas Allen performing the role of the philosopher, Don Alfonso, for which he is celebrated worldwide, nearly 50 years after his 1971 Covent Garden debut. He is joined by Italian tenor Paolo Fanale as Ferrando, Hungarian-Romanian baritone Gyula Orendt as Guglielmo, the two men who decide to test their fiances' fidelity. The Royal Opera: Cosi Fan Tutte Cosi fan tutte, Act II, The Royal Opera ©2016 ROH. Photo: Stephen Cummiskey. What are the best dining options near The Royal Opera: Cosi Fan Tutte London? The Royal Opera: Cosi Fan Tutte gyms, sporting activities, health & beauty and fitness. The best pubs near London The Royal Opera: Cosi Fan Tutte. The Royal Opera: Cosi Fan Tutte clubs, bars, cabaret nights, casinos and interesting nightlife. 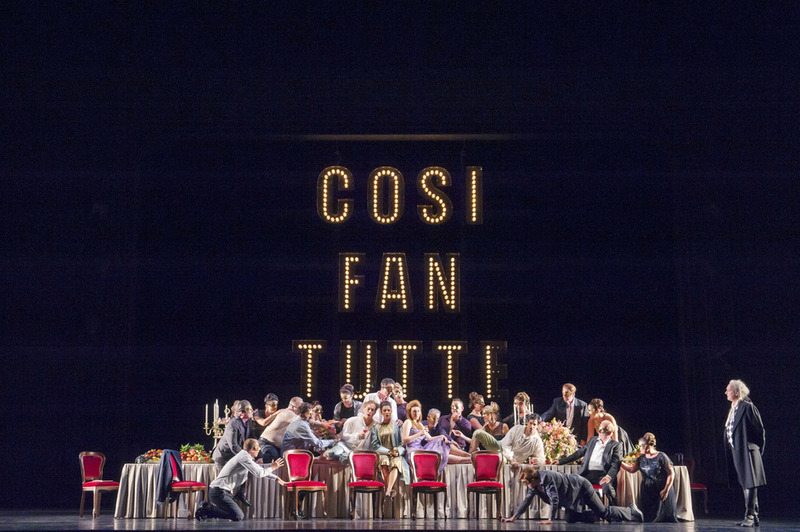 Where to have your meeting, conference, exhibition, private dining or training course near The Royal Opera: Cosi Fan Tutte. From cheap budget accommodation to luxury 5 star suites see our discounts for Royal Opera House hotels, including Strand Palace Hotel London from 85% off.